The world of technology is getting better and better and there is no denying that. The smartest thing to do at this point is to adapt to the technological changes that are happening around us, and get more used to them as well. The topic of today is electric scooters. For those who do not know, these scooters are making the waves in the market and for all the right reasons as well. There are many people in the market that confuse these electric scooters with hover boards. Well, you need to know that there is a drastic difference between both. In this list, we will be looking at some of the best electric Scooters available in the market. This is for those who are normally not sure what they need to look at, and how they can buy the perfect option that is available in the market. 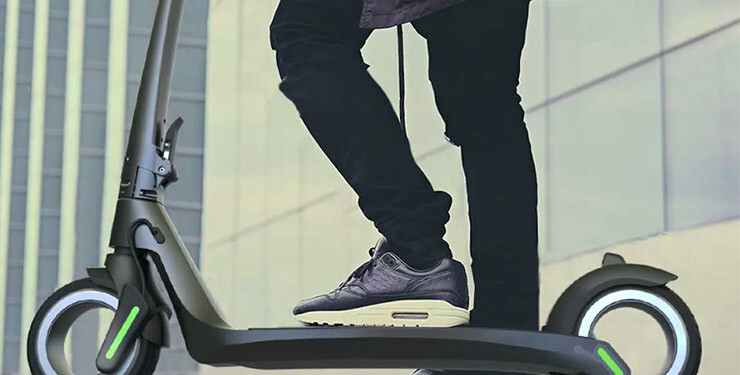 With this list, you will be able to buy the best electric scooter that the market has to offer. 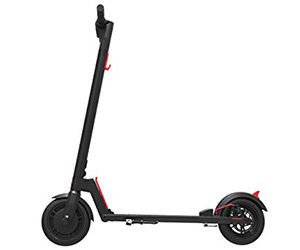 Additionally, we have decided to mention the one quality that makes each of the electric scooter in the market stand out from the rest of the options available. So, without further ado, let’s have a look. One of the most trustworthy companies when it comes to good electric scooters, or other similar products is Segway. They have been in the market for some time and have been creating some amazing products for the customers. Today, we are looking at the Segway – ES4 KickScooter Ninebot; one of the best, and high end electric scooters from Segway. The good thing about this scooter is that it has the space f or an additional battery for added distance. You also have a scooter that is easy to store, and the smartphone app is among the best. 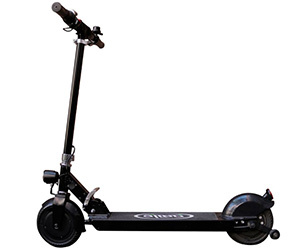 The scooter offer three different speed modes, and the best part is that it uses hard rubber tires as well. Furthermore, both the front and the back are equipped with shock absorbers, and you also get a powerful 300 watt motor. To be honest, there is so much good with the Segway – ES4 KickScooter Ninebot, that you will forget to check for any cons. Well, the good news is that you will not be finding a lot to nitpick. The only issue you might encounter is that some people have said that the maximum weight of 220 lbs. is not a lot. Overall, the Segway – ES4 KickScooter Ninebot is one of the best electric scooters available in the market, and for all the right reasons. It is simple to use, and even simpler to store. May weight might not be enough. The next electric scooter that we are looking at is for people who are more interested in covering long distances without the need to charge their scooter time and again. Needless to say, this is one of the things that many people look for in their favourite electric scooters. The scooter we are looking at is called GOTRAX GXL Commuting Electric Scooter. It has a great distance per charge, and holds excellent value for money by being one of the cheaper options in the market. The scooter looks simple, but has the right style element to it as well, and the rear brake solution on this scooter is among the finest I have seen. Despite a lot of good things, there are a few minor hiccups that you must know about the scooter. For starters, there is no brake light on the scooter. The fact that there is no brake light could have broken the overall use case of this scooter for a lot of people, but it does not break the overall deal. The GOTRAX GXL Commuting Electric Scooter is still one of the best electric scooters available in the market, and poses great value for those who are looking to make the most out of their money. The design is simple and practical. The rear brake solution is among the finest I have used. It is great for people who love to commute without needing to charge their scooter a lot. Xiaomi is a company that is known for a lot of products. We have seen some pretty amazing phones from, as well as lamps, headphones, and routers. However, today, we are reviewing a Xiaomi product that we actually did not think could exist in the market. If you have not guessed already, we are talking about the Xiaomi Mi Electric Scooter. 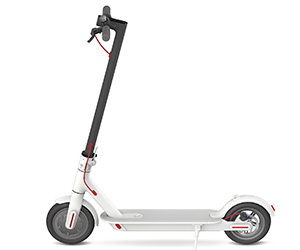 Now the good thing about this scooter is that it carries the traditional Xiaomi formula, and that is to deliver good prices, and amazing features. Now the good news here is that the design is great, the features are amazing, and you have a build quality that is one of the finest you could think about. You can even fold the scooter when not in use. You also get a fairly well designed app that allows for statistics, and other monitoring. On the other side, the only issue I have is that the bell design on this scooter is not as intuitive. It is not a problem by any means as the scooter is still great. Just that the readers should know about. Overall, the Xiaomi Mi Electric Scooter is a great electric scooter that is affordable, and works really well. Xiaomi certainly did not try to save money by giving mediocre build quality, so that is another great thing. Overall, this thing holds a lot of value for money, and perhaps the best value for money you can find in an electric scooter. The app is really good. The bell is not positioned properly. If you are looking for a scooter that is great because it allows you to fold it and carry it where you want, then the Glion Dolly Foldable Lightweight Adult Electric Scooter is another great option on the list. This is one of those scooters that are built to provide you with the best possible experience, wherever you take it. We are looking at the Glion Dolly Foldable Lightweight Adult Electric Scooter, and I know the name does sound awfully long, but move aside, and you get a fairly great electric scooter. To start with, the design is compact, and the scooter can be folded without any issue. It comes with trolley system that allows you to take it with you wherever you go. The weight is light, but the build quality is still great. 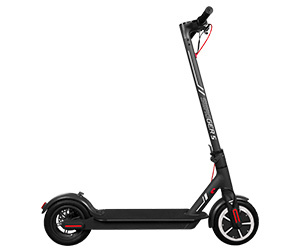 To be honest, there is so much good about the Glion Dolly Foldable Lightweight Adult Electric Scooter, that the only downside is that the rider can only use this scooter in a standing position. 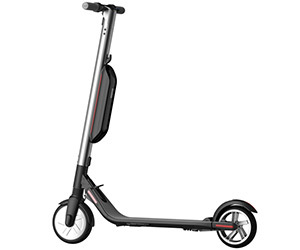 Overall, the Glion Dolly Foldable Lightweight Adult Electric Scooter is a great electric scooter for those who want to just enjoy their riding experience wherever they possibly want. The best part is that it works excellent. Safety lights are also installed. You can only use the scooter in standing position. If you are looking to buy a truly high end scooter, and pricing is not an issue, then the next product is something that you are going to love for sure. So far, I have reviewed electric scooters that fall on the line of more affordable, but this changes now. The scooter we are looking at today is XINAO NANROBOT D5+High Speed Electric Scooter. Now I know that the company is not as well-known as some of the other options on the list, but that does not mean that this should be taken lightly in any way. 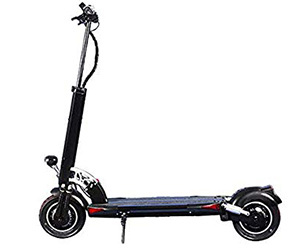 To start things, you get dual 1000 watt motors; one is for the front and one is for the rear, and you have excellent built quality, and the best part about this scooter is that it only takes 3 hours in total to charge. The overall quality of components is excellent to a point that you will not have to worry about investing in something that might not be appropriate for you. The only downside is that this scooter can only be used in the standing position. If you are okay with that, the XINAO NANROBOT D5+High Speed Electric Scooter is one of the best options available in the market that you should definitely opt for. Overall, the XINAO NANROBOT D5+High Speed Electric Scooter is a great scooter for people who are looking for a high-end scooter that gives the best performance. Comes with all the necessary amenities like built-in screen. The scooter can only be used in the standing position. Just when I thought that the electric scooters in the market could not get more hip than they already are, a company named Swagtron came out with Swagtron Swagger 5. I know this sounds right out of some movie, or a music video, but let’s not judge a product based on how it is named. There are certainly a lot of positive points about the Swagtron Swagger 5. For starters, it is actually a smart scooter that has some deep customization options to a point that you can actually customize how your ride is going to be. Additionally, for the price you are paying, you are getting a lot of great features that are otherwise missing from budget scooters. Last but not the least, the scooter also offers an impressive distance on a single charge. Overall, there is not a lot to hate about the Swagtron Swagger 5. As a matter of fact, there are a lot of good things. However, the one thing that I noticed is that the battery life is somewhat average. I am not saying it is bad by all means, you just might not be able to get the most mileage out of this. In conclusion, the Swagtron Swagger 5 is a great option for those who are looking for the stylistic element. Has all the right features you can ask for. Can be customized to your liking through the companion app. The battery life is subpar at best. The last electric scooters on our list is from a company called TianRun. Now I know that they are not as well known as some of the other companies that we have reviewed so far, but the good thing is that if you are looking for a scooter that you want to buy for first timers, then the good news is that this is the one that you should go for. Right off the bat, the one thing that makes this scooter absolutely worth it is the price you are paying. It is by far the cheapest option available in the market. However, do not take the cheap price for a subpar quality. As a matter of fact, the build quality is great for what you are paying, and the solid materials are used through and through. The motor is on the weaker side as compared to what many are used to, but it does not have much affect thanks to the price. Not a lot of bad things can be said about this scooter. Simply because you are paying such a low price. Sure, if this were an expensive scooter, there would have been nitpicking, but as for the price point, it would be unfair to judge this scooter. 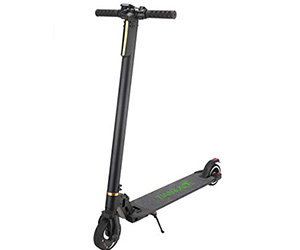 Overall, I would say that if you are looking for a good scooter for the first timer, then the TianRun Electric Scooter is actually a great option that you should go for. Sure, you do not get some of the industry leading hardware features, but the price more than makes up for it. There is no denying that the demand for good electric scooters is skyrocketing, and so is the trend. So much so that so many manufacturers are bringing these products into the market in order to make a difference. Now the good thing is that users have so many options to choose from, but this also serves as a crux, because if you are in the market for the first time, you are going to get confused. Thanks to this list, however, it will become much easier for you to choose the right electric scooter without any issues whatsoever. We have covered the best of the best that the market has to offer.